Don't we all want ways to be a little bit more chilled and less stressed out? 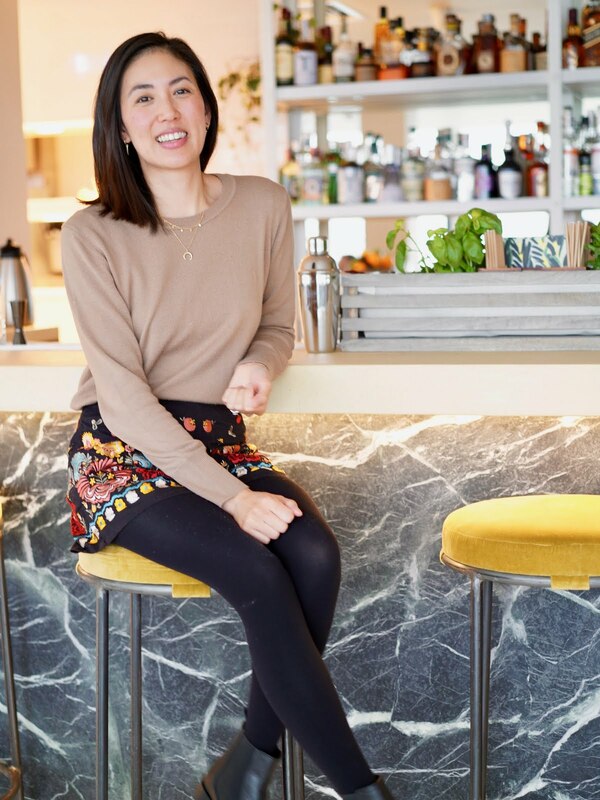 Ok maybe that's just that's me ;) With Wedding planning, working full time, blogging and being on YouTube - I never really have time to just stop and relax. Thankfully I was offered a complimentary beauty treatment at The Chelsea Day Spa and I knew I had to go for the aromatherapy massage*! They offer a whole host of beauty treatments from waxing, facials, manicures, everything to get you looking and feeling great. As I've not been sleeping very well and genuinely been feeling much more anxious and tense, the massage therapy (£85 for 60 minutes or £45 for 30 minutes) sounded perfect for me. They also offer Swedish, hot stone, pregnancy and deep tissue massages if you want something a bit more intense. 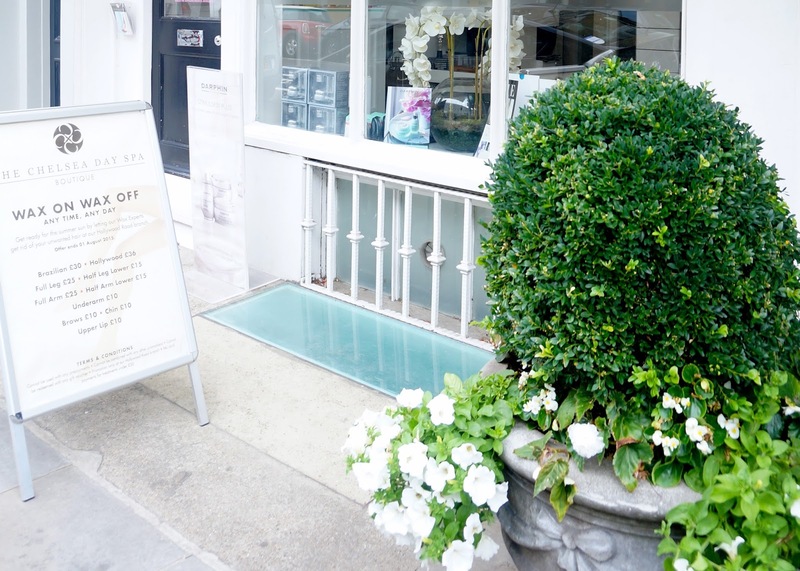 The salon is on Hollywood Road, a quiet street away from the bustle of Chelsea. The salon is small but cosy and smelt divine when I walked it, very fresh and citrusy. The staff were polite and friendly and like with any beauty salons, they ask you to fill in a questionnaire just to see if you have any medical concerns or skin allergies etc. I met my therapist, who was lovely and immediately put me at ease. Having a massage is very imitate, so it's important you feel relaxed with who will be touching your body and being so close with not much on! I know some people really don't like that closeness or other people touching them. I've had full body massages in Thailand and in Turkey, so I knew what to sort of expect. 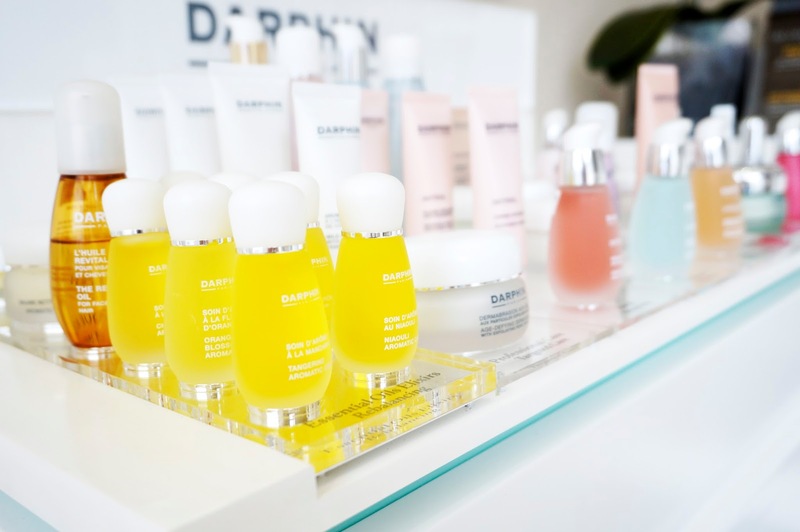 The therapist usesd a variety of Darphin oils, which are lightly scented and each has the essentials oils to energise, calm, purify or revitalise. I wasn't expecting this but she started with massaging my face with chamomile oil, which was a lovely start to the treatment. She used light tapping and pressing motion to get my blood going and finished with applying a serum. She then concentrated on massaging my arms, top of my chest, then worked on my legs and back. The massage is not vigorous or intense but soothing and relaxing but also enough pressure to unwind my achy joints. She doesn't use her elbows so it's not painful or too uncomfortable. She mentioned the top of my right shoulder was very tight so she paid a bit more attention to it. The hour went by so quickly, I literally floated out the salon when I finished. My skin felt a little tacky from the oils but nothing too greasy. My skin gets so dry so it was nice to get the extra hydration! I felt thoroughly rejuvenated and it reminded me I need to take more time out and really switch off. It is a pricey indulgent for £85, much more than I would normally pay for a massage but like with any beauty treatment sometimes you got to pay that bit extra for the service and experience. I like treating myself to facials now and then and I feel massages are another treatment that can really help with your overall physical well-being and mental peace of mind. I hope you enjoyed this review of The Chelsea Day Spa. *Massage was complimentary, all opinions are my own. What is your must have pamper treatment?